Al-anon is an excellent program for the family and loved ones who are struggling with drug or alcohol addiction. 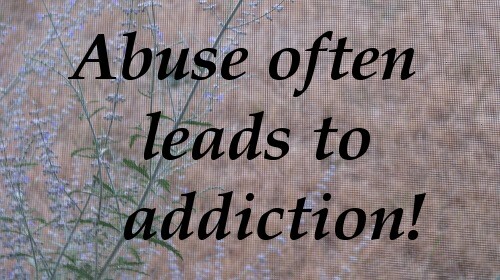 Many people ask what they can do to help their loved one to get help for addiction. Al-anon helps to answer that question and helps families to stop enabling the loved ones addiction. Questions: For over 50 years, Al-anon (which includes Al-ateen for younger members) has been offering hope and help to families and friends of alcoholics. It is estimated that each alcoholic affects the lives of at least four other people... alcoholism is truly a family disease. No matter what relationship you have with an alcoholic, whether they are still drinking or not, all who have been affected by someone else’s drinking can find solutions that lead to serenity in the Al-anon/Al-ateen fellowship. Many who come to Al-anon/Al-ateen are in despair, feeling hopeless, unable to believe that things can ever change. We want our lives to be different, but nothing we have done has brought about change. We all come to Al Anon because we want and need help. In Al-anon and Al-ateen, members share their own experience, strength, and hope with each other. You will meet others who share your feelings and frustrations, if not your exact situation. We come together to learn a better way of life, to find happiness whether the alcoholic is still drinking or not. Al-anon Note: The professional opinions expressed here are those of the writer and do not necessarily reflect the opinion of Al-anon Family Groups. Al-anon does not endorse, support, or oppose outside entities, opinions, or issues. “As an addiction psychiatrist, I am grateful to have Al-anon available for my patients who have been affected by anyone’s use of alcohol. I recommend Al-anon whenever I see a patient who complains of anxiety, depression, or a variety of physical problems that are commonly worsened by close contact with the disease of alcoholism. “I do a complete family history with anyone I am treating. I specifically ask about alcohol use in grandparents, parents, spouses, siblings, children, grandchildren, and significant others. I also ask about other diseases that often thinly veil alcoholism, such as cirrhosis, pancreatitis, or other medical consequences of alcoholism, since the patient and the family frequently deny the alcoholism. “I do not insist that the patient or I make a clear connection between the patient’s complaints and the presence of alcoholism. I suggest the patient use Al-anon as part of the diagnostic process and I use the familiar recommendation that the person may decide after attending six meetings whether the program seems to be useful. Frequently the most useful information emerges from the patient’s reactions to the Al-anon meetings. A feeling of not belonging is usually connected to the sense of estrangement that is common among alcoholic families. If the patient felt burdened by listening to others at a meeting, it is a telltale sign that this person assumes overwhelming responsibility for someone else’s behavior. “I have seen incredible progress among my patients who use Al Anon as part of their recovery process. A newfound sense of well-being, the ability to participate fully in intimate relationships, and an improved quality of work and satisfaction in a career are evidence of growth and change. I have also witnessed patients who start their recovery in Al Anon and expand their recovery to include other areas of their life. I’ve also seen patients who are recovering from other difficulties, including their own alcoholism, enhance their progress by participating in Al Anon. Please consider finding and attending an AL Anon meeting in your area. It may be the first step toward your loved ones recovery.